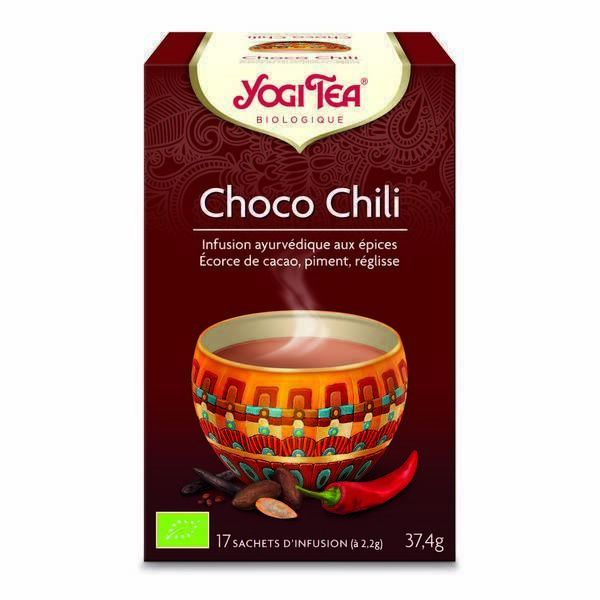 This Choco Chili tea offers a rich chocolate taste with a pinch of chili and plenty of warm cinnamon. 17 teabag box. This Choco Chili tea is inspired by the ancient Aztecs, who enjoyed chocolate drinks infused with warming chilli and other spices.